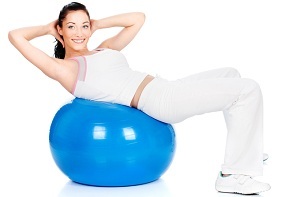 Exercising at home is one advantageous method of keeping fit by just staying indoors. This is because there are those days that the weather is just cold/rainy and you are not willing to get out. Similarly, there are instances where you might be having a busy day and by the time you came back, the sun is already down. In such situations, and in an era like this when you have to keep fit, it can be hard for you to think of checking into the gym. So, what is the way forward to ensure that you get your daily exercise? The answer is simple; you can improvise some of your household materials hence ending up with a simple home gym. In case you are wondering how we have aligned numerous few ideas on ways you can do your exercise indoors without having to worry about your budget. Jump ropes are another easy to improvise home exercise gadget. Although there are plenty that you can buy from the stalls, you do not have to worry in case you are running on a tight budget. This is because; jumping ropes can be made out of any possible material back at home. So long as it can swing through your body as you jump, you are set to go. Jumping ropes are good for indoor exercise especially if you are focusing on working out your cardio. I believe most of us probably are living in homes with the in-built stare cases. If, however, you are living in a bungalow, then still there is no need to worry. Just a little creativity applied will sort you out. For instance, in case of such situation, you can use various books to create your artificial stares. A short moment of stepping up and down can be worth it. This is because it helps to keep your body active and healthy. Do it while watching your favorite show and experience the difference. Plank is known to be a good developer of a person’s core muscles. This is a good home exercise especially for those who do not have much time for the process. It includes a push-up looking position but in this case, it is much like a yoga stretching exercises. This is because you do not bend your arms as you move down towards the floor. Instead, you are supposed to hold up to a level position for almost 30 seconds. Sound hard, isn’t it? Indeed it is hard, however, if you want to improve on your cores, consider doing it every day. Another good exercise for your arms, shoulder, and back strength training is the water bottle weights. These are easy to make, as it only requires basic procedures and household equipment. For instance, water bottles or milk jugs are what you alternatively need and in addition to that, you can fill in the water, as you desire. A good workout, therefore, includes increasing water little by little, as you work out. In summary, working out at home is best, as it does not need much preparation. In addition, you do not need to drive to anywhere, and above all, it is a timeless process. During a cold winter day, you can, as a result, continue with your daily exercise hence staying on track despite the distance from your gym house. This entry was posted in Guest Posts and tagged Exercising, Healthy, Home, Len Saunders, Made Easy by Len Saunders. Bookmark the permalink. Nice article! Plank is my favorite exercise. The plank can help you get rid of fat layers around the belly, waist, shape your buttocks, relieve the pain in your back, and speed up your metabolism.